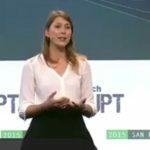 This is a guest post by Lea von Bidder, co-founder and President of Ava Science, a Swiss startup based in Switzerland and California. Lea published this post originally on her Linkedin profile on Thursday 8th of March, the Women Day, and I thought this kind of excellent content should be spread as widely as possible… Do not hesitate to comment and to contribute with your opinion or ideas on how to change the problem Lea is describing! As a female founder from Switzerland I am constantly prompted with questions about “How it feels to be a female founder”. The truth is, it feels a little lonely. How did I miss all these women at those investor events? Those statistics don’t match my experience. In fact, I fear they paint a much rosier picture of the state of gender diversity in the Swiss startup ecosystem than reality. So I took it as a call to action to finally cross a long-term to-do off my list: Find out how big the gender gap in the Swiss startup ecosystem actually is. To spoil the surprise: It’s big. And that should worry you. It definitely worries me. The Federal Statistical Office (BFS) states that in 2014, 36% of companies were founded by women and another 9% had female/male mixed teams. And while those numbers paint a progressive picture, they include all companies, from the bakery next door to the hottest API startup. This is also true for the Global Startup Monitor data. Entrepreneurship comes in various and wonderful forms and I couldn’t be more excited about how well women are doing overall. But to define the gender gap in the Swiss startup ecosystem we need to look separately at the types of startups that have ambitious goals to be recognised on the global stage. Those are mostly built on technology, raise venture capital and show a strong growth. I decided to look at the data we get from the “Top 100 startups” report, a yearly report published by IFJ, Handelszeitung and PME Magazine which highlights the “best emerging companies, the ones Switzerland is pinning its hopes on to spread Swiss innovation throughout the world”. I analysed the Top 50 startups in the 2016 report. Finding out who the founders are in a company is sometimes harder than it sounds. I used LinkedIn, Websites and Press coverage. Feel free to cross-check and correct data in this link. Only 9%, or 11 out of 108 total founders of the Top 50 startups are women. We all know 9% is low. But it’s so low, it even makes the Top100 companies in Switzerland look good who have women represented at 16% in their boards. Yes, this seems to be the first time the Swiss startup ecosystem actually has to look up to the corporates. 10 out of the eleven female founders work in different startups. Only one startup has two female founders (GO Glycemion AG!). That means 1 in 5 Swiss Top50 startups have at least one female founder. 4 out of the 50 companies analysed, or 8%, have female CEOs. Interestingly, half of those are solo female founders, making it less a choice but a necessity to appoint themselves as CEO. Only 20% of companies with a mixed female/male founder team have appointed the or a woman as CEO. Here at least the Swiss startup ecosystem is a step ahead of the SMI companies which had zero female CEOs in 2016. Yes, you read that right: Zero. Now, why should you care? Well now that we have established that the likelihood of your daughter being a startup founder is dramatically lower than your sons, let’s establish why you should care. Those startups are (part of) the future of the Swiss economy. The gender gap of startups today is the gender gap of the big companies they will turn into tomorrow. We admire the way visionary companies disrupt the status quo–why can’t we also disrupt the old gender roles? Startups have limited resources, little time and a thousand things to do simultaneously. That’s why they love hiring in their network. Fact is, men have usually a more male-oriented network than women- making men their easiest hiring choice. A gender gap in the founder team directly translates in a gender gap of the team as a whole. Those male startup employees might then go to found companies on their own – further increasing the gender gap. Successful founders are future investors. A gender gap of founders intensifies the gender gap of startup investors (The gender gap among investors will fill an entire article on it’s own). And since investors are more likely to fund companies that solve a problem they understand firsthand, companies that solve problems that are unique to women will always be at a disadvantage. Startup founders are an important resource for other, newer founders. The bigger the gender gap the more those founder networks turn into “Big Boys” networks to which early female founders don’t have access. The gender gap increases. Startup founders need mentors. And when new female founders are looking for an experienced mentor, there aren’t many female founders to choose from. Having so few female founders means that today’s young female founders don’t have someone to turn to when it comes to the unique challenges of being a female founder. And they don’t have many role models of women who succeeded despite the odds being against them. In an ecosystem where we all complain about the lack of startups, we have untapped talent sitting right under our noses. Great. You care. What’s next? Gender gaps, whether in salaries, engineering degrees or in startups are complex and there is no magic fix. This post will therefore not explore the multifaceted circumstances that created this situation in Switzerland and everything that needs to change. But I have one request: We need better data. Big Data? Small Data? Really, just any Data. My data isn’t great. In fact, I’m convinced you will find mistakes (Please do find them!). But we all carry a responsibility to understand how we contribute to the gender gap. So I urge you to all start measuring and assessing your involvement. And based on what you find, you can decide for yourself if and how to take action by implementing measurable, clear KPI’s for you and your organisation. My first request goes out to all the extremely helpful organisations in Switzerland. Namely: IFJ, Venturelab, Digital Switzerland, WomenWays and all the others: Please start including diversity data in your reports. You have the perfect data to understand these numbers, analyse the trends and help us, as an ecosystem, to learn how we can improve. I am aware of attempts like the European Startup Monitor, but self-reported voluntary data doesn’t paint an accurate picture. Investors, Take a look at your portfolio and see how many female founders you have supported this year and ten years ago. Understand and help us understand how we can make female-founded companies more successful. And set yourself targets on how to improve those metics in the coming years. Founders, have a look at your team and board to assess the gender gap in your organisation. I am well aware that hiring and assembling a board is hard enough without gender limitations. But not measuring and acting on this from the beginning on will accumulate “culture debt” that you have to work on very hard to fix in a few years. Associations, Foundation and Competitions: Assess how many female-founded companies you have awarded and how that has changed over the years. You don’t even need a quota for the winner, but set yourself KPI’s in how many applications you want from female founder companies and actively seek those. Press, your role in this is crucial. Your coverage is decisive in promoting the role models young girls desperately need. Your numbers and your assessment of the Swiss Startup ecosystem counts. Your role is to make us all aware of these real numbers and remind us all relentlessly of this challenge we have yet to solve. I know the Swiss startup system is yet in its infancy and it’s tempting to put this issue off for another few years until “we have solved the real issues” such as investment availability and regulations. But the gender gap is a vicious circle that is hard to stop. And the wheels are already turning. We need to pay attention to this now. We are in this together and we all want the same thing: An open, successful and equal Swiss startup ecosystem that helps us build the future of the Swiss economy. Please share your ideas in the comments or send me a message. Many people have commented Lea’s article on Linkedin, which you can find here. Hereafter, you’ll find my reaction to Lea’s blog post. You’re completely right: unfortunately, the Swiss tech ecosystem is ways to much a man world. I was shocked in 2014 as a Venture Leader USA that there was only one woman (Borislava Palanchova) in the team… I do not really know what are the cause of this gender gap. But during my 9 years on the Swiss Startup scene, I’ve seen that there is even a very high gap in Startup Weekends (70-80% of participants are men). Why? I do not know. Honestly. It’s the reality. And here there is IMHO no discrimination. I’ve heard sometimes than women are different (of course you are!) and do not want to pitch in front of males. And better feel among women… Still not really got the point by now (…) as I think gender is not the #1 reason of success or failure, and we all live in a jungle where we have to fight to survive. Maybe someone has a view on this? On another hand, you get a lot of questions because you are a female founder. It’s wrong. You should NOT get this kind of question because… it’s not a question. You are simply a smart person who want to change the world. Or at least part of it. You’re a role model for young women, showing that you can succeed in this kind of men world. But you do not want to be considerate differently because your are a woman. Your skills and your personality matter more, right? Lastly, lack of women on Swiss startup scene is a problem, that’s true. My own experience backs your point: I started my company with 2 male founders of my network, and did not look for diversity at this time. How can I change things now? I have realized that I tend, in recruiting, to have a bias: I try as much as possible to hire women. But not only because they are women. But with comparable skills, I’ll favorite the girl (sorry, men!). So my little contribution to gender equality is that we will increase the percentage of women from 0% to 25% 14.5% of the company (growing from 6 to 8 7 people). Step by step! The post Why Your Daughter Probably Won’t Be a Startup Founder in Switzerland appeared first on Startupolic.